This Circuit is used to supply 12V Circuits in the D.C rating. 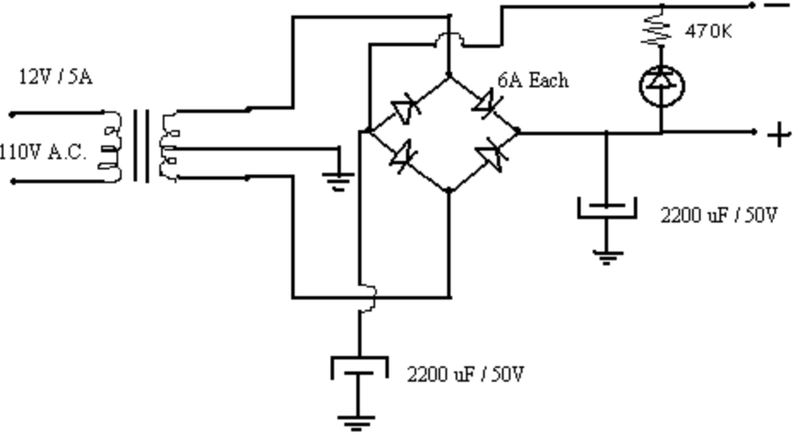 This circuit uses a 12V / 5A transformer. One resistor is used to reduce the current for the LED light. This circuit uses 4 diodes and 2 high uF capacitors for a clean output.